The first attention grabber from Pretty Wild is the fact that rock a scream this grand hasn’t been heard since Steelheart was in their prime. That sucked me in right away and set a very high expectation level for what was to come. And the good news is that those expectations were exceeded by the fourth song on Pretty Wild. If you’ve been yearning for some exceptional sleaze rock, welcome to Pretty Wild! 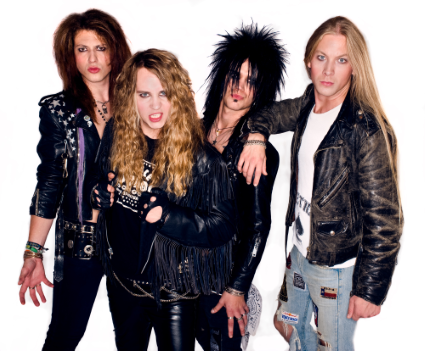 Pretty Wild hails from Sweden and upon formation they had one mission in mind: play the best 80s metal possible. They have certainly reached that feat. 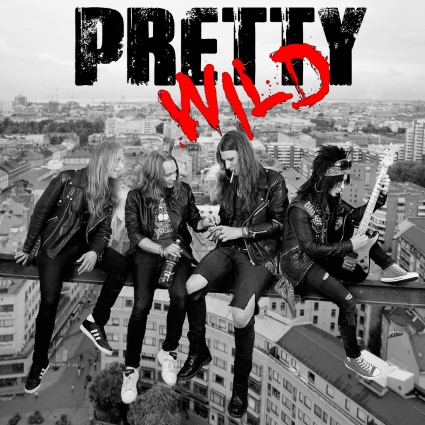 Their overall style and sound is an exact replica of the greatest 80s metal bands, but Pretty Wild has a unique signature of their own, which means they are more than a just a carbon copy of great 80s metal, they are also a unique force in the world of 80s hard rock music and Swedish metal in general. The hard rocking tunes are plentiful on Pretty Wild. The album kicks off with the hard rocking “Are You Ready,” which starts with a pounding bass drum and the chants of “Are you ready, are you ready for me?” Once the guitar started to slowly build up just under the surface, I knew it was only a matter of seconds before the song exploded. And at the center of the explosion was the first rock scream from vocalist Ivan Ivve Hoglund. The fun factor just ramped up from there. “Staring At The Sun” is a great highway song that should be played at maximum volume with the windows down, the sun on the horizon, and your foot pressing the gas pedal hard. It is a song that is very reminiscent of some of the great sounds from my youth, and “Staring At The Sun” made me feel like I was 17 again. Hoglund’s vocals were tight and glorious, while the guitar work from Axl Ludwig was flat out fun. Ballads are present and accounted for on Pretty Wild and done in the appropriate power ballad fashion. “All I Want” and “High Enough” are the two stand out ballads, with “High Enough” just edging out “All I Want” as the better ballad overall. Both songs are exceptional, showing off the talents of all band members, and make me yearn for a video that would rule the Dial MTV charts. However, the guitar solo on “High Enough” is so amazing that it gives this song the edge for best ballad on the record. If you’re yearning for the sound of the 80s with a modern flair, or if you’re just looking for some flat out fun hard rock to add to your collection, check out Pretty Wild. These guys are the real deal and I can guarantee that their debut album is going to get a lot off spins from me.